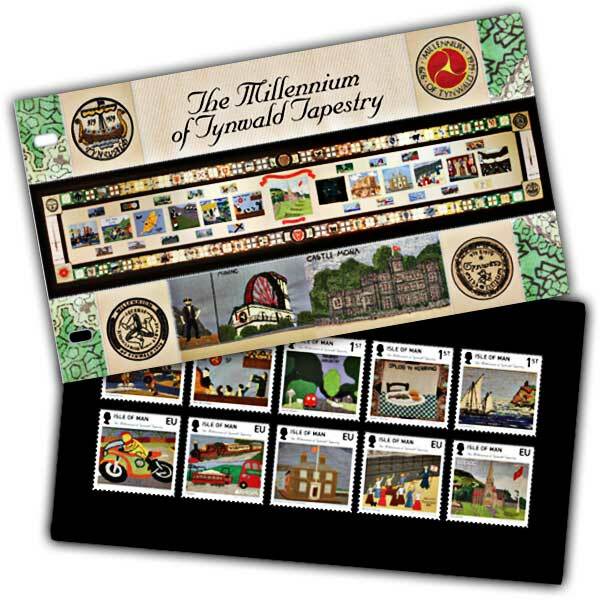 A special set of 10 stamps which reproduces 10 panels from the Millennium of Tynwald Tapestry, completed and presented to Tynwald to celebrate the Millennium in 1979 by the Isle of Man’s branch of the Woman’s Institute. Time starts with the arrival of the Vikings and moves through the ages to the modern Tynwald building. Exactly what I ordered and within 2 days. Couldn't ask for more!